I always said after last year’s Ride To Rockstock that if anything like that was ever to be done again then it would need to be bigger and better! 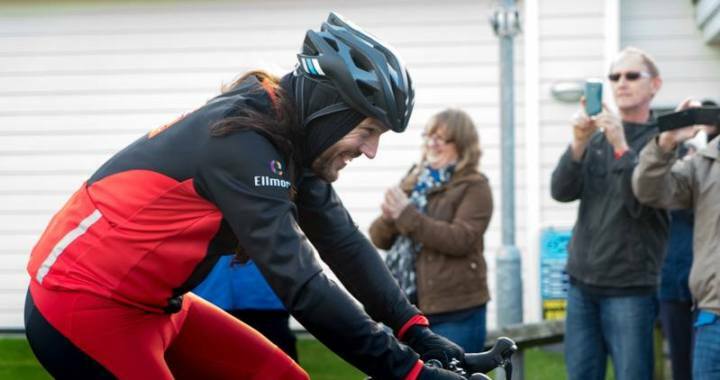 To recap, last year I rode 200 miles in 20 hours straight, from London to Wales and raised over £40,000 for CALM. This year is going to a whole new level. For 2016 the Ride To Rockstock gives way to the Road To Rockstock and it’s going to be a 7 day tour. A total of 1,100 miles in one week! Riding overnight twice and the other days riding a minimum of 12 hours a day, taking in three countries and numerous counties and cities. Starting in London on Friday 25 November, I’ll be going through the key locations of Nottingham, Sheffield, Leeds, Newcastle, Edinburgh, Glasgow, Liverpool, Manchester, Birmingham, and Cardiff, and then onto Rockstock at Trecco Bay in Porthcawl, arriving on the morning of Friday 2 December less than a week later. This year the plan is to have people (you) suggest places of rock music interest to visit in the aforementioned cities. It could be a famous venue (Wembley, Rock City, the Cavern club etc) or an old rock bar, monument, old rock stars home etc. Those that get the most suggestions I’ll visit and get proof of life that I was there such as a photo or video. I’ve no idea how much I will raise this year and I will be taking my body to places I don’t think it wants to go. I have never ridden so far in such a short space of time so I’m really going into the unknown. In the past couple of days I began training with a 65 mile ride in Hampshire in an event organised by CALM. It didn’t go well. I crashed pretty badly and my fitness wasn’t great so I know I have a LOT of work to put in over the next three months, but I’ll get there! I have before and I will again. Like last year, the event will be tracked live and all of the stop off points will be published in advance. Should I be anywhere near you and you’d like to hang out for a couple of hours, then join me. It would be great to see as many friendly faces as possible. I’m sure there will be many updates, blogs, videos and pictures between now and 25 November – so here we go again.